There are always people telling her how beautiful she looks and than her whole face starts to shine and her eyes sparkle and I love that!! It's pretty clear that she loves the attention, I bet she's going to be an actrice when she grows up! 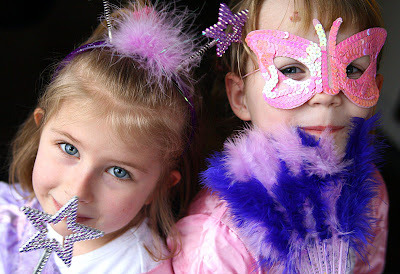 Marlijn and her girlfriend Lieke. I found some baby pictures of Marlijn from 4,5 years ago. She was only 9 month then. Since I wasn't scrapbooking yet back then I'd never used them. So I wanted to make a baby page but I wanted it to be funky. No pale and soft pink for my girl, she's got way to much attitude for that LOL! 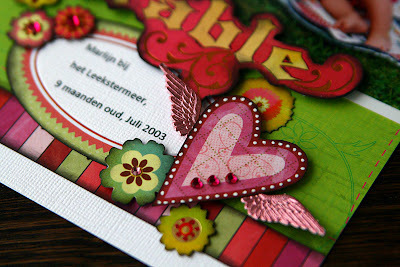 The weekend of May 23-25 I will be teaching workshops at Tiny's Hobby in Kortrijk, Belgium. Two evening workshops on friday and saturday and a day workshop on saterday. Also I will be demonstrating in the store on sunday. The next couple of days I will be working on the workshop examples and I will show some sneak peeks as soon as I'm ready. For more information, prices and details you can visit/contact Tiny's Hobby here. Ummmmmmmm... girl you kill me with your scrapbooking, freakin' GORGEOUS! De layout springt van het beeldscherm, prachtig! 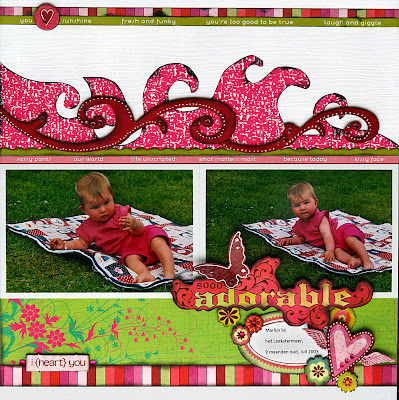 love this baby page and the flowers in the last post!! hope your mojo will be back soon!! Ik kijk er naar uit om je terug te zien. I love the layout Birgit!!!! Wat zien de meiden er lief uit! 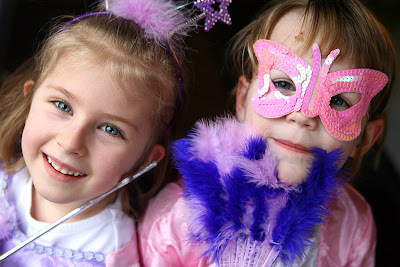 Echte prinsesjes!! En je lo is gaaf, super die kleuren en blingbling!! O my look at those eyes! It is so adorable. 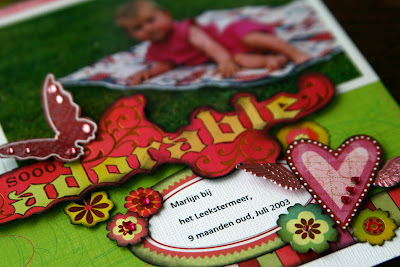 I love your pages Birgit and the lost of your mojo.... well it DID result in some pretty nice pages girl! Ik zou dolgraag een keer een workshop van je volgen, maar Kortrijk is me toch echt te ver weg. Kom je toevallig ook een keer in het zuiden van ons land? 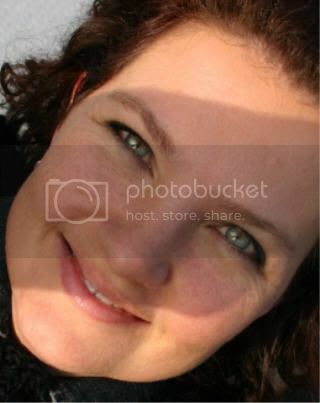 Hoi Birgit, ik lees al een tijdje met veel plezier je blog. Met welk programma heb je die foto-mozaïk gemaakt. i'm liking the "flames" and swirls, another good job.... Ps... thanks for visiting my blog.